The Quest studio is more than just a place to workout - it’s a comfortable and supportive environment to create a new, healthier you. 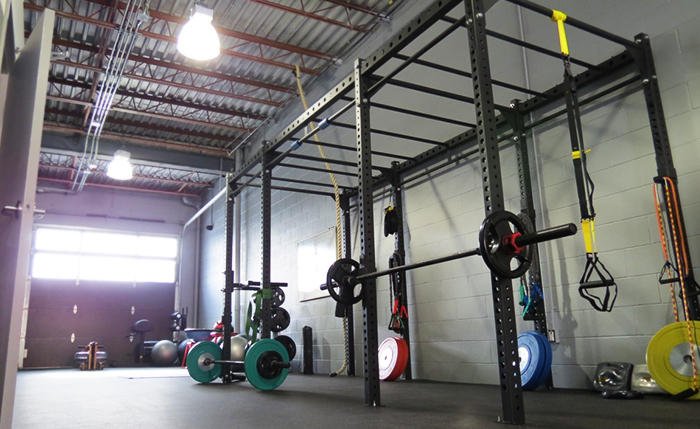 NEVER OVERCROWDED, OUR INTIMATE FACILITY IS THE PERFECT ALTERNATIVE TO LOUD, CROWDED AND INTIMIDATING BIG-BOX GYMS. WHAT YOU WON'T FIND AT THE QUEST STUDIO ARE WALLS OF MIRRORS, BLARING MUSIC, LARGE SCREEN TV’S, OR BRIGHTLY COLOURED MACHINES. WE BELIEVE THESE DISTRACT FROM FOCUSSING ON YOUR BODY AND THE WORKOUT. WE BELIEVE THE ONLY MACHINE YOU NEED TO GET FIT IS YOU - AND WE’RE HERE TO SHOW YOU HOW TO GET THE MOST OUT OF IT. 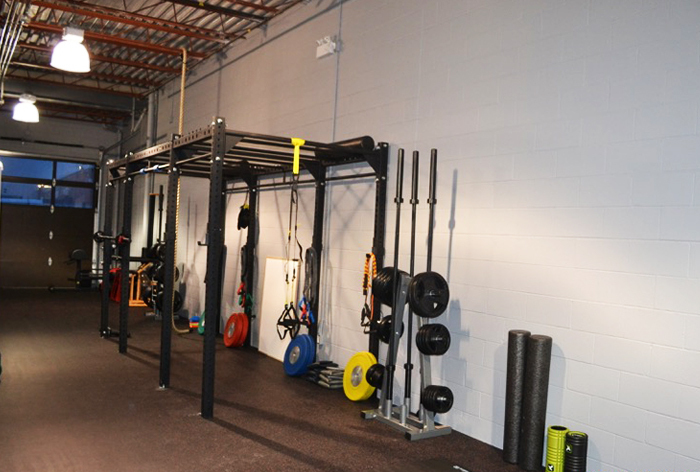 OUR STUDIO DESIGN IS DRIVEN BY OUR BACK-TO-BASICS PERFORMANCE-INSPIRED PHILOSOPHY AND FEATURES A CUSTOM DESIGNED RIG, BUMPER PLATES, KETTLE-BELLS, TRX, AND ALL THE BASIC EQUIPMENT YOU WILL NEED TO REACH YOUR GOALS. Want a tour of our studio? Is one of the best and most enduring investments you can make in yourself. Working with a Personal Trainer will improve your health, quality of life, and help you discover new found confidence. As a personal training client you will work one on one with a coach who will guide you step by step through an individualized fitness program designed around your fitness goals. Detailed fitness assessment, movement screening and health questionnaire. Customized training program specifically tailored to help you achieve your fitness goals. Progressive training and assessments that ensure you’re building towards your goal while avoiding injuries. Discounts on other studio services such as yoga, team training, fascial stretch therapy. Price 1 month: $648 (3 times a week) package tax included. Team Training is for clients who have the ability to work out independently, but want the challenge and accountability offered by a personal trainer and a team atmosphere. Unlike big-gym cardio classes where everyone does the same routine, team training programs are customized to match the ability and goals of each member. Classes are appropriate for all levels, but all clients must meet with a trainer for a fitness assessment before being admitted to team training. Customized and progressive programs for all levels from beginner to expert. Supervised workouts with a trainer who will inspire, educate on correct form, and hold you accountable. Supportive and non-judgemental team environment. Routines feature: weight lifting fundamentals, kettle bell training, TRX, power lifting basics, stretching, strength & conditioning, and much more. Small class size - maximum 10 members / class. Price (3 month commitment): $168/month. Is a unique, complete and complementary system of table-based assisted stretching, focusing on the fascia and joint capsule as the key elements in achieving optimal flexibility, strength, performance and pain relief. Fascia is a network of layered connective tissue that surrounds muscles, bones and joints. Yoga Quest is led by experienced instructor Lindsay Gamester. Classes are flow-based and appropriate for all levels from absolute beginners to seasoned experts. Please bring a mat, a bottle of water, and anything else that adds to your comfort and wellbeing. We recommend that you wear comfortable clothing that isn’t too revealing or restrictive. Yoga Quest is offered as ‘pay-what-you-can’. A donation box will be available for contributions. Bulk class pricing available on request. 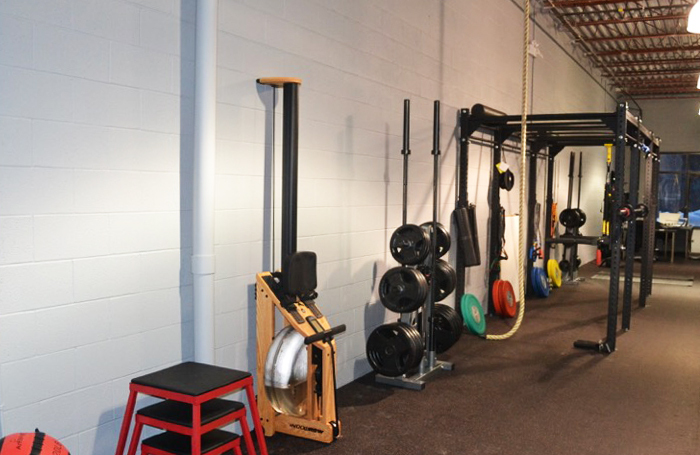 For clients who need a full fitness assessment without a personal training package, we offer full fitness assessments that feature: movement screening, muscle testing, and an in depth health questionnaire. Ryan really expanded my knowledge of what I could do to work out. He always found things to do that kept it interesting while challengine me at the same time, and I can’t imagine what I would have done without him in the time we trained together. I have been training with Ryan for 4+ months now. When I started with him, I was approximately 195 lbs and had a torn MCL. Over the course of my training, Ryan adjusted my eating habits and set up a schedule for me to work out 3 times a week, and together we rehabbed my MCL to where I am able to curl 25lbs. In addition, I have reached my goal weight of 184- 187lbs. Ryan Atkins is one of the most amiable and genuine people I have had the pleasure to work with. Ryan put a friendly face on the once daunting task of exercising and made it a part of my routine that I genuinely looked forward to. He is very knowledgeable and is able to work with the unique demands of his clients without missing a beat. He inspired me to take pride in my health and gave me the tools to do so. He was a supportive trainer, but definitely challenged my expectations and abilities. I am grateful for his help. I was introduced to Emre Canatan by my personal trainer, Jacqueline Gradish. Jacqueline was leaving for maternity leave and suggested I train with Emre during her absence. I had been training with Jacqueline twice a week for 6 years. She felt Emre would be very suitable to train me at my fitness level. I am found Emre to be knowledgeable, personable and experienced. Emre managed to challenge me with programs suitable to my level of fitness. I found him to be very attentive and aware of my form during the exercises and suggest corrections when required. Also, he has a very good understanding of how the human body functions mechanically. Emre always seems to be looking for information and training to improve his service he provides to his clients. I would recommend Emre to anyone wanting a well qualified trainer. Please do not hesitate to call if you have any questions. I am a 29 years old business professional currently working in the pension consulting field in downtown Toronto. Prior to University I was very active, playing tennis and surfing on a regular basis. Throughout University I continued with the tennis however my diet significantly changed. In 2005 I decided that since work provided benefits for gym fees that I needed to take advantage of them and get into to shape. I never considered myself to be out of shape but little did I know what that type of diet combined with reduced physical activity and sitting at work all day does to your body. I thought that hundreds of push ups and sit-ups a day would be sufficient but it wasn’t. I joined to one of the big fitness club. As a standard practice, they set up a free consultation with a trainer with the intention of new members purchasing training sessions. Emre called me up and we met, discussed my goals and determined what my current level of fitness and food habits were. And they were not nearly as good as I thought. Emre immediately got me into a foundation program and my body could barely handle it.. I spent a number of evenings in the washroom throwing up. I was not overweight to the eye but mentally and physically out of condition. We worked together for a couple of years improving my condition with a slight improvement with my diet. I felt better, looked better and was determined to never go backwards. Emre moved to another fitness club and i followed him. We trained every other day at lunch time and I decided that I wanted to take my level of fitness to the next level. Performing at a Natural Bodybuilding competition, I already trained regularly but my diet and lifestyle were far behind. The goal was set, November 2007 to be on stage in the best shape of my life. Did I have the confidence to get to where we needed to be ? We trained hard with numerous programs created for the building phase and then the conditioning phase with suggestions made by Emre for nutrition and lifestyle. He was committed only if I was going to give over 100% and we battled all the way to the stage. I started at 220 and came down to 200 at about 11-12% body fat. I was in the best shape I had ever been but not at the level I had envisioned and it was because I didn’t change my lifestyle. I needed to get to bed earlier to repair the muscles. I needed to clear my mind and remove all friction from my lifestyle. Emre encouraged me to make those changes and was willing to train with me for one more time, and so began the road to the November 2008 Canadian Classic, it was a long one but it was a stress free one, that we both enjoyed preparing for. The results were phenomenal, I started at 210 and came down to 176, in a very healthy manner, building quality muscle and removing body fat ( I was for the first time ever under 10% and could finally see my abs ). I hit the stage with a lot more confidence and we were both very proud with the transformation. Emre didn’t sell the personal training sessions to me, he opened my eyes to the direction I was heading. The elements of my lifestyle that needed to be change both mentally and physically. He has encouraged me to cut back on the excessive alcohol in take, improve my quality of rest by sleeping at the appropriate times and to get the most out of my food, by the frequency and quality of my meals. He introduced me to positive thinking, meditation and confidence. Confidence came once I got all the other elements in the right place. I have been blessed to have met Emre and look forward to continuing our Journey together meeting both of our goals along the way. When I started training with Emre two years ago I was scrawny. I had never really lifted a weight or did any strength training. When my Mom was diagnosed with osteoporosis, I thought it would be a good idea to build my bone mass by properly working out. Emre has been a welcome addition to my life. He is patient, smart, kind yet tough when he needs to be. Knowing nothing about muscle building or core strengthening, Emre has slowly eased me into a solid routine. I work out 3 days a week now with or without him. He keeps the exercises fresh. He always explains why we're doing what we're doing. But he's not just about gym time. Emre is as much about mental fitness as he is about physical. Eating well, being true to yourself, focusing on the positive and making time for just you are values Emre preaches. Today I pretty much weigh the same as I did when I met Emre, but my body looks totally different. I look strong and the best part, I feel good. Achieve more than I could have imagined. When I thought I could only do 15 push-ups you focused me into believing I could do more. In that session, I went from 15 to 30 push-ups. Of course my workouts since then have reflected this enabled attitude. Your ability to read my energy level at each work out is invaluable even when I feel a little tired I know that I will have a workout that will be effective and will have been worthwhile. You make an effort to contact me between sessions and support me to keep up with my program. I appreciate this attention as it makes the whole training program more effective. Not only do you focus on the physical workout elements, you provide observations on sleep, healthy diet and stress management. Considering I have lost 15 pounds since we started, your comments and advice have been very appreciated. I enjoy the workouts and always feel great afterwards. My overall fitness and energy levels have greatly improved. Emre, you have made a difference in my life. I wanted to drop you a line and tell you how impressed I am with your knowledge of fitness. I started with you back in November of 2005 and I'm not going to tell you it has been easy but the results a few months later have not only been noticed by me but others as well. I have also managed to put on a few pounds which was my goal. In my humble opinion there is nothing better than people noticing that my body as well as my attitude has been improving. I realize I have to credit myself for the improvement but I would never have made it to this point without your guidance. You are a good teacher/motivator. I have always struggled with exercising. Even though I know it is a critical part of being healthy, I just never seem to find the time or motivation to get or stay in shape. I have the best excuses and to this day I still don’t like exercising but I recognize that it is a necessity. I chose to hire Emre Canatan, I figured if I paid for someone to help me lose weight I would be more motivated to do so. Emre listened to my goals and was able to design a program that kept me excited, motivated and constantly challenged. Emre really listens to your needs and genuinely cares about his clients; before I knew it he became a very good friend. Emre taught me things about my physical self as well as my mental/spiritual self. My workouts became both outer and inner. He made me aware of my emotional eating I had no idea that I allowed my emotions to dictate what went in my mouth. Being with Emre for the last 3 years I feel like a balanced person I look good on the outside but I also feel light on the inside. I have never felt so balanced and in control of my life; I only have Emre to thank for this. Through his hard work, his energy, professionalism and unparallel knowledge of the human body and digestive system I am in the best shape of my life. 30’s are the new 20’s and Emre helped me build a body to prove it! Thanks Emre for all your hard work, I know I was not always an easy client. I have always wanted to run a marathon and when I finally mustered up the courage to start training for one, I didn’t know what I got myself into. Preparing yourself for one of these things isn’t easy and I was fortunate enough to have Emre coach me along the way. He helped condition me physically, mentally and emotionally. He taught me the importance of nutrition, adequate rest plus the importance of fighting for what you want and determination. There is no better feeling than setting your mind on something and achieving it. Before my decision of running a marathon, I wasn’t overly active and I did not care for eating healthy. But now, I live breath and eat healthy for my being. In fact I ran my first marathon at 3:48. All because of the motivation and education Emre has given me. Not only has he helped change the physical aspect of myself, but, he also helped change the mental aspect. I just wanted to drop off a line to say thank you. Working out with you for the past 3 months has been quite an experience. I feel great and I have gained a lot of respect for your profession as fitness coach. I have always been athletic. But you showed me proper techniques during our workouts that have helped me get the maximum out of a workout routine. I always thought that having a trainer is not necessary to achieve goals; but I was wrong. I did not have to worry about anything. The workouts with you were one of the highlights of my day. I believe you will help a lot of people accomplish their fitness goals. I want to thank you once again and I wish you all the best. Emre started exercising and living a healthy lifestyle as an active child. His athletic experiences include competitive soccer and track&field as a sprinter. His inspiration is rooted in the accomplished strength and conditioning coaches he was fortunate enough to train with in his early career. By the age of 18, Emre was convinced his career would be in the field of health and sports. Successfully attending one of the best Sports Academies between 1997-2001, he graduated with a Degree in Physical Education and Coaching. Since then, Emre has achieved numerous certifications, seminars and training programs to expand his knowledge and stay on top of the fitness industry. Emre built valuable experience by working with a wide range of individuals who had been trying to reach their desired fitness and health goals from foundation to balance, eventually performance. Over the past 5 years, Emre has managed two separate and very successful teams of personal trainers in one of the biggest fitness clubs in the world. He enjoyed recruiting, coaching personal trainers and seeing them and their clients being successful. 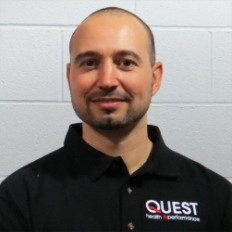 Consulting over 5,000 people and training over 600 people, he has founded Quest Health and Performance to deliver his knowledge and expertise in order to help people improve their fitness and health. Ryan comes from a long background of health and fitness. As a young athlete, he played select softball in the RHMSA for almost a decadebefore making the switch to rep AA hockey. He played for the Richmond Hill Stars as well as his high school team for 4 years before heading to university, where he continued to play on the side while focusing on his studies. It was around this time that he became naturally interested in how the human body works, how it could be trained to perform better, and that drove his academic career. Participating in sports and fitness led Ryan to become an umpire and coach in his softball league, and this in turn exposed him to becoming a hockey coach for younger teens. 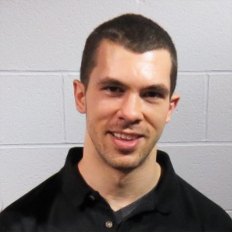 He thought both before his studies demanded more investment of his time, and at this point he was taking an exercise science degree at the University of Toronto.Ryan was able to take that foundation of knowledge and apply it to his personal coaching career that began in his final year. After graduating with honors, he acquired his first coaching jobat a commercial gym where he gained vast experience working with clients comes with different goals and capabilities. A few years in, however, Ryan realized he was destined for something more and that catalyst brought him to Quest. Ryan's personal interests with regards to fitness range widely. A "jack of all trades" sort of athlete, he trains himself in everything from gymnastic to Olympic weightlifting. In the summer of 2013 he sustained a shoulder injury, and while he already been working with injured clients, Ryan's personal injuries have arguably thought him the most about the post-rehab training world. His training specialities include sports-specific training as well as post-injury training and exercise prescription for weight loss. Other highlights about his skill set are his assessment ability and unique approach to mobilization and flexibility.